2. Hopper loads (what?) were picked up/destined for whom? Nice Older intertwined LIRR Stencil emulating the 'L' and 'I' over the 'RR' as per the May 1924 Timetable on the pilot steps. Last edited by nyandw on Mon Apr 02, 2018 9:07 pm, edited 2 times in total. I like the retro logo! Nice job,hopefully they did a proper surface prep before the new paint on! ConstanceR46 wrote: I like the retro logo! 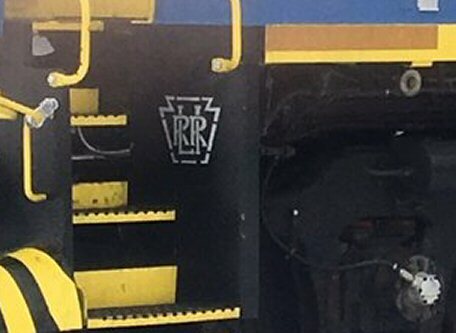 Wouldn't be neat if they were to incorporate the retro logo on all of their rolling stock somewhere inconspicuously noticeable (pardon the oxymoron!)? equipment than the MTA pac-man logo having to be everywhere. What a great idea! 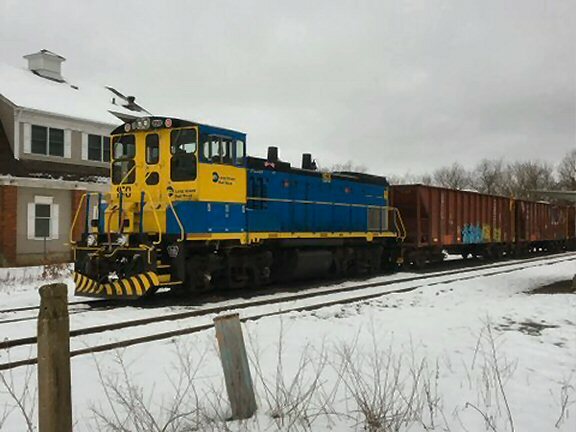 This gives the locomotive some real "class" at last! Whoever saw to it, thank you! This logo has been used on all of the MoW rolling stock fleet for the past 4-5 years.